Seattle Seahawks free safety Earl Thomas stands on the field during warmups before an NFL football game against the Dallas Cowboys, Sunday, Sept. 23, 2018, in Seattle. A former Longhorn has received a big free-agent deal. 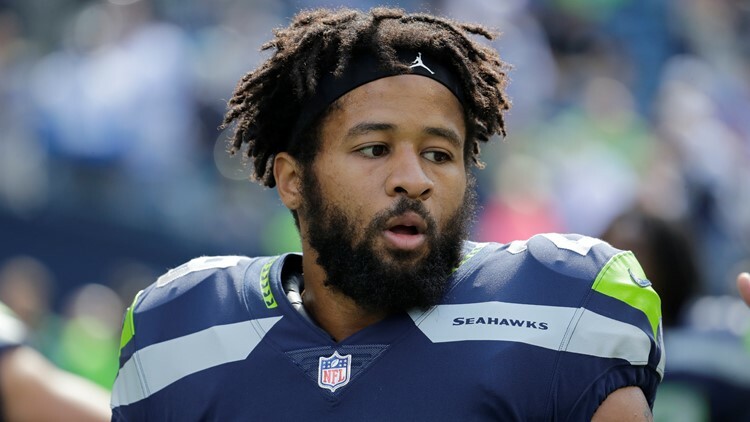 SEATTLE — Former Longhorns defensive back Earl Thomas has reportedly agreed to a free-agent contract with Baltimore that will pay him $55 million over the next four years. Thomas had a simple post on Twitter after the announcement. Earl Thomas started lots of rumors more than a year ago when he approached Cowboys coach Jason Garrett after a game between Dallas and Seattle and said, "Come get me." But reports said Dallas didn't want to spend more than $10 million a year on Thomas. He gets almost $14 a year with Baltimore. Thomas 2018 season ended early with a broken leg in September, but the 30-year-old Pro Bowl safety was named first-team All Pro three times while he played in Seattle. His 28-career interceptions rank third among all players since 2010, when he was drafted with the 14th overall pick out of Texas. Thomas joins fellow free agent Mark Ingram as new additions to the Ravens roster. Thomas and Igram competed against each other in the 2009 season's National Championship game between Texas and Alabama.